The Immigration Act of 1965 was one of the most consequential laws ever passed in the United States and immigration policy continues to be one of the most contentious areas of American politics. As a "nation of immigrants," the United States has a long and complex history of immigration programs and controls which are deeply connected to the shape of American society today. This volume makes sense of the political history and the social impacts of immigration law, showing how legislation has reflected both domestic concerns and wider foreign policy. John S. W. Park examines how immigration law reforms have inspired radically different responses across all levels of government, from cooperation to outright disobedience, and how they continue to fracture broader political debates. He concludes with an overview of how significant, on-going challenges in our interconnected world, including "failed states" and climate change, will shape American migrations for many decades to come. "John S.W. Park offers both detail and perspective in this magisterial history of the impacts on society of immigration law and its enforcement in the United States. The scope of the book is breathtaking, from the immigration of the colonists to the travel bans issued in 2017 by President Trump." 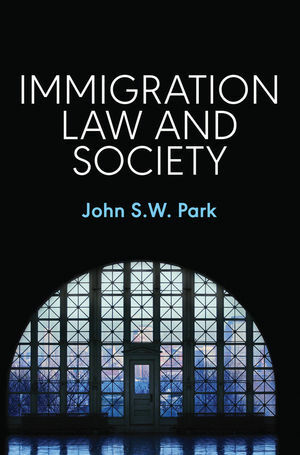 "John S. W. Park has written a timely book that sheds light on one of the most critical issues of the day - immigration. This book is interdisciplinary in all the best ways – drawing tools and insights from across the social sciences and humanities. These astute analyses provide a deep understanding of how immigration laws came to be, what their consequences have been, and what our future may hold. Immigration Law and Society is written in an accessible and congenial voice that will draw students in and hold their attention."